Yesterday being a weekend evening, felt like having some quick snack. I fist thought of doing Baked Besan Bonda/ Baked Onion Pakoda, but I didn’t have enough Besan flour. I also didn’t have enough patience to soak and do anything. Suddenly I noticed I had some leftover rice. One of my friends had once told me that her mom makes Vathal (Fryums) with leftover rice. My mom prepares Vadam with rice flour and tapioca sago, dries them in sun for 2 days and it is deep fried in oil. OMG, I love it. I wanted to try something similar to my friend’s mom version. I won’t say it was as crispy as fried version, but soft and a bit chewy snack. Instead of garlic powder, you can add chilli powder, onion powder, cumin powder etc. What a wonderful idea Vidya. I looks like a wonderful snack! so easy and innovative! 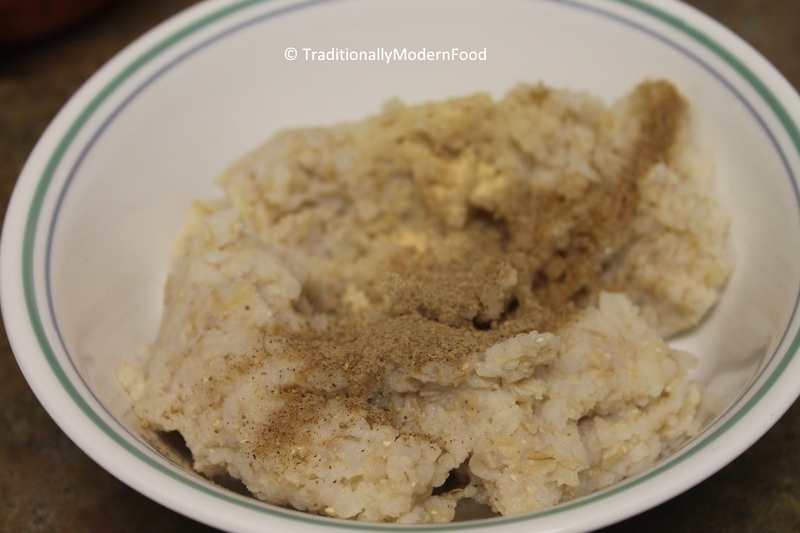 And I love rice….shall try..might roast on tawa and try? OMG this is just so lovely, vadam are one best thing in world which tastes like heaven 😀 I should try this when I have some left over rice 🙂 Absolutely yummy !!! I love how this snack can be flavored any way I like, that it’s easy, and that it uses leftovers. Wow this is very interesting.. Cant wait to try. 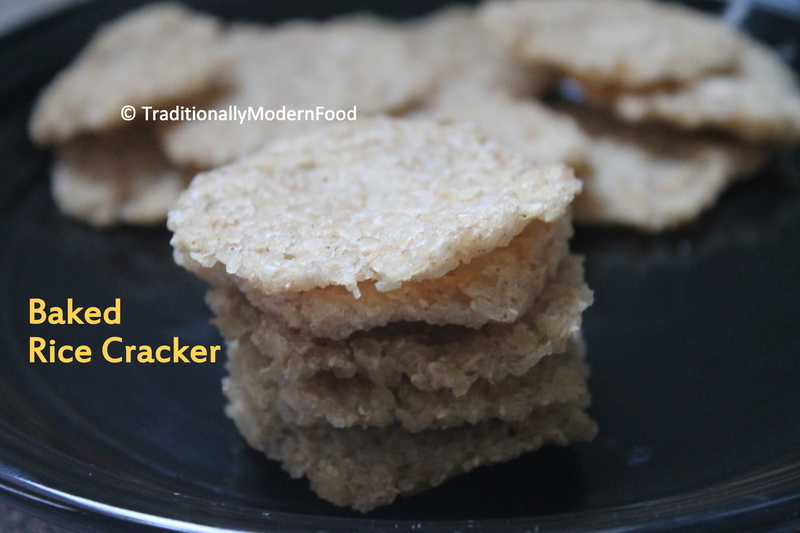 Like your baked version………..crackers looks yumm! How awesome! I’m going to try with my leftover brown rice too! 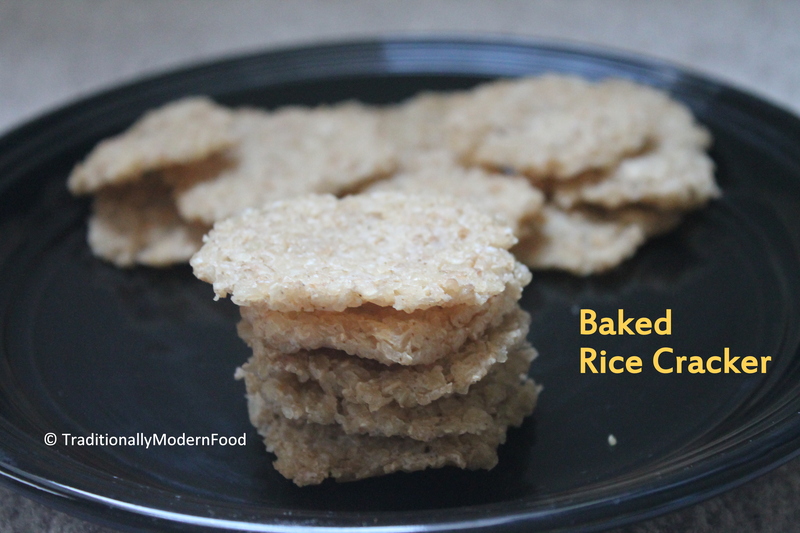 Much healthier than the fried version and I am sure they are just as delicious. They look great. Thanku Suzanne:-) they Whr as crispy as fried version but still we enjoyed them. Looks like a perfect tea time snack V! 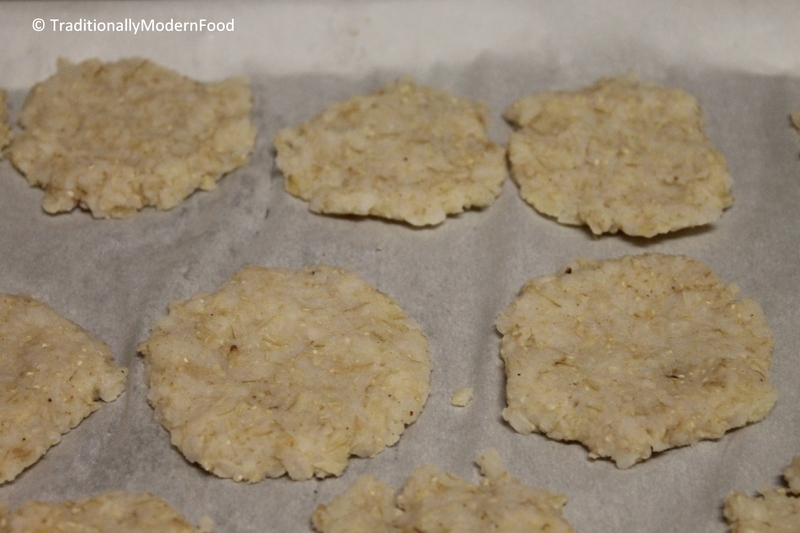 Baked rice crackers looks delicious Vidya. that it’s really so simple blows my mind. Why do people buy packaged food when it’s easy to make your own snacks, etc? This is so cool! 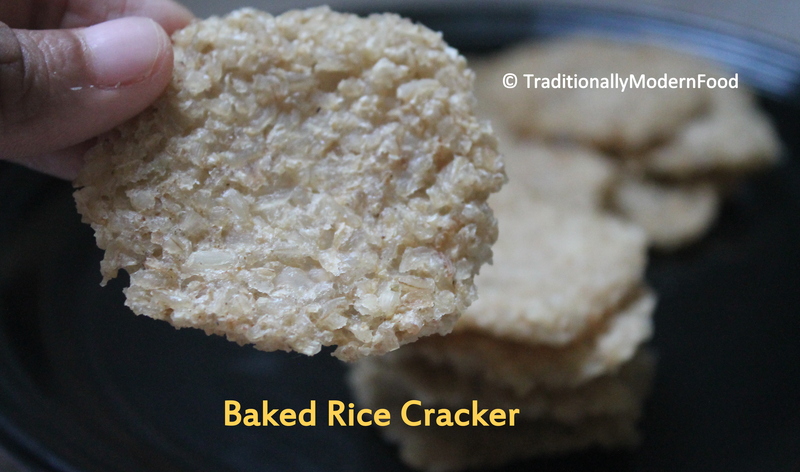 I always feel like rice crackers are something people buy instead of make. You really took the fright out of it!